Nothing makes a teacher feel more special than being told how much you appreciate their hard work, time, and care they give to their students. 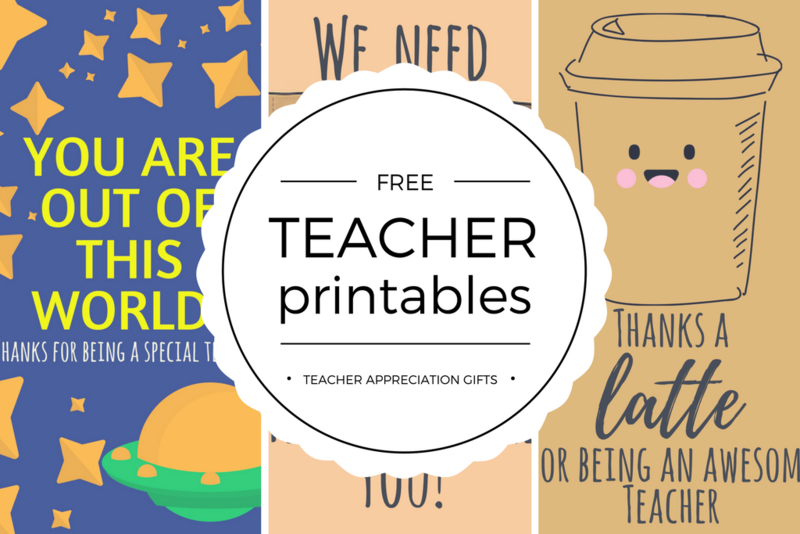 Here are some teacher appreciation thank you cards and gift tags that you can download, customize, and print for free. You light up our world. Thank you Teacher! You are out of this world! Thank for being a special teacher! Thanks for helping our child bloom! You are a tea-rrific teacher! You can download the whole set here.